I have the perfect recipe to kick of soup season. 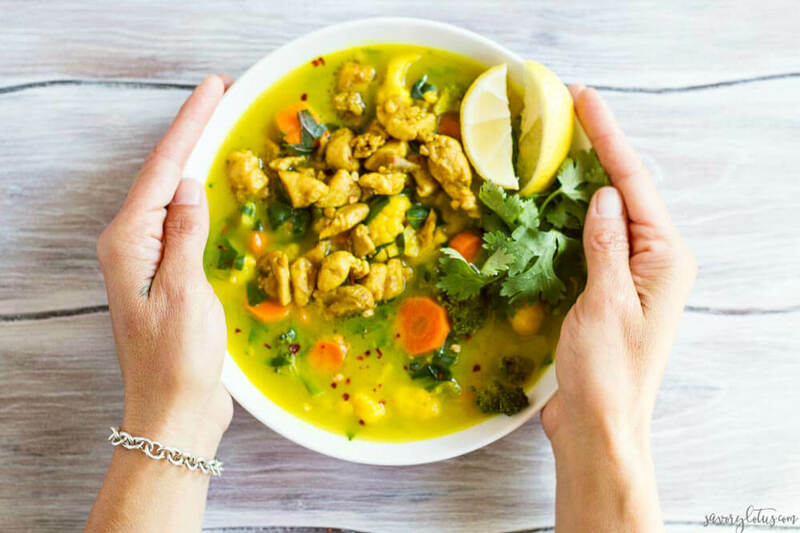 Make this Turmeric Chicken Soup in under 30 minutes for a healthy, cozy, and anti-inflammatory dinner. This soup is made for real life. Let’s be honest. Getting dinner on the table seven nights a week is not easy. And I’m all about getting it done as effortlessly as possible. Last year, I shared my 2 favorite 30 minutes soups, and I’m back with another for you. Be sure to check out my 30 Minute Turkey Meatball and Kale Soup and my Curried Cauliflower and Kale Soup if soup is your thing and you don’t want to spend a ton of time making it. 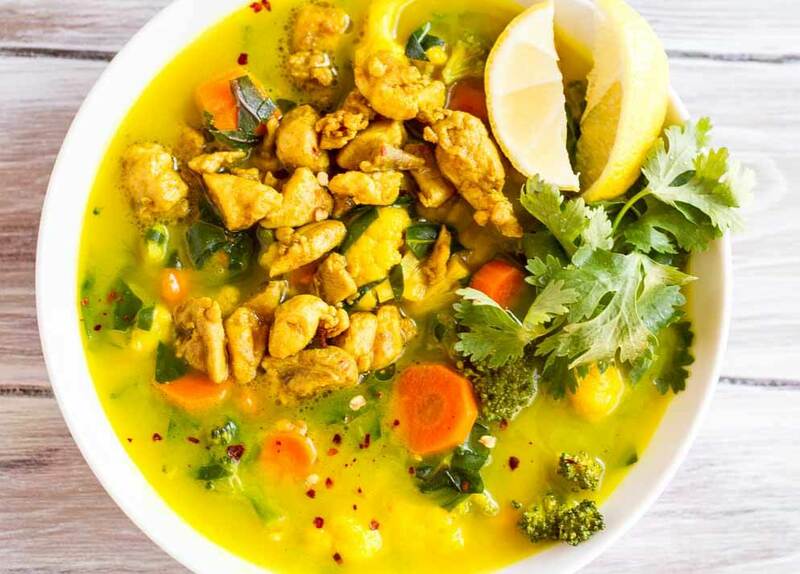 Introducing 30 Minute Turmeric Chicken Soup. A warm and inviting bowl of goodness packed with your favorite veggies and perfectly spiced chicken. This soup is loaded with all the things that make me feel good. For the vegetables, I went with carrots, cauliflower and broccoli. You can substitute equal amounts of any vegetable that makes you happy. I used a homemade bone broth, but a good quality vegetable broth will work too. I used boneless, skinless chicken thighs for the protein because I’m a dark meat girl. You can use breasts as well. As the days shorten and the weather cools, I like to take the time to turn inward and to nourish my body in preparation for a long winter. Making cozy bowls of soup and spending more time at home baking and crafting helps me to do that. (I think I may take up weaving this winter, too!!) It makes me feel more grounded after a busy summer spent playing and adventuring. Happy Fall! I look forward to sharing more quick, easy, and healthy ways to get food on the table. 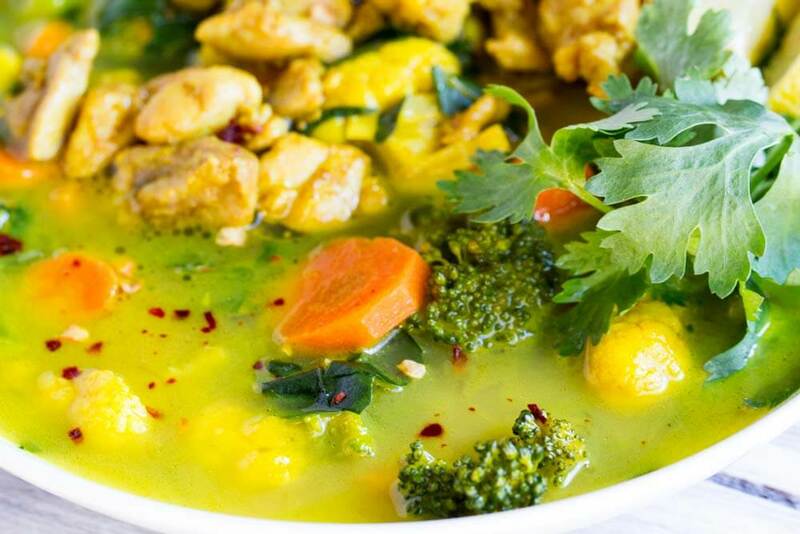 Mix turmeric, cumin, and cayenne in a small bowl and set aside. Chop chicken thighs into small bite-size pieces (I use kitchen shears for this) and set aside. Melt 1 tbsp of fat of choice in a medium soup pot. Add onions and cook until translucent, about 3 minutes. Add half of the turmeric spice mixture and the 4 cups of vegetables and cook for another 3-4 minutes. Add broth, water, bay leaf, and ginger to pot and bring to a boil. Lower heat and simmer until vegetables are fork tender, about 8-10 minutes. 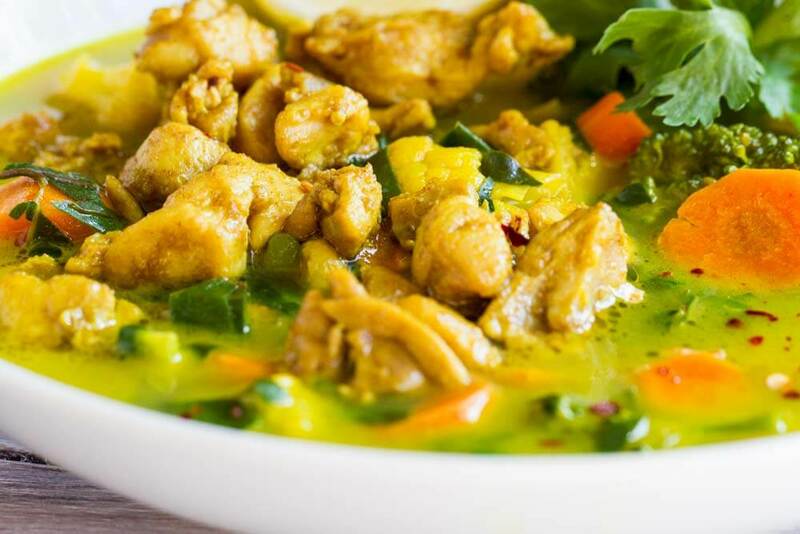 Turn off heat and stir in coconut milk and greens, allowing the heat to wilt the greens. 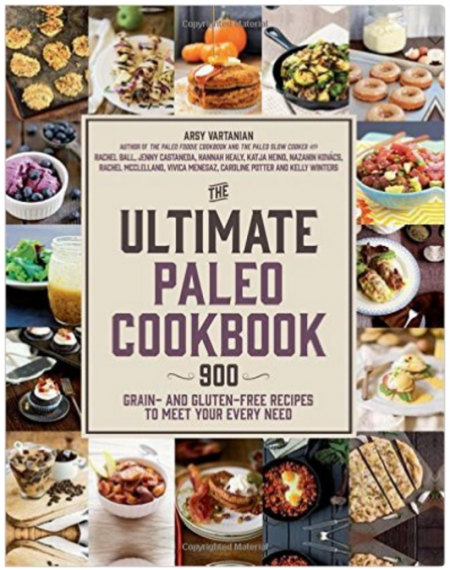 While vegetables are cooking, heat remaining one tablespoon of fat in a large skillet. Add chopped chicken pieces and cook until no longer pink on outside, about 5 minutes. Add remaining turmeric spice mix and cook until chicken is thoroughly cooked inside, about another 5 minutes. 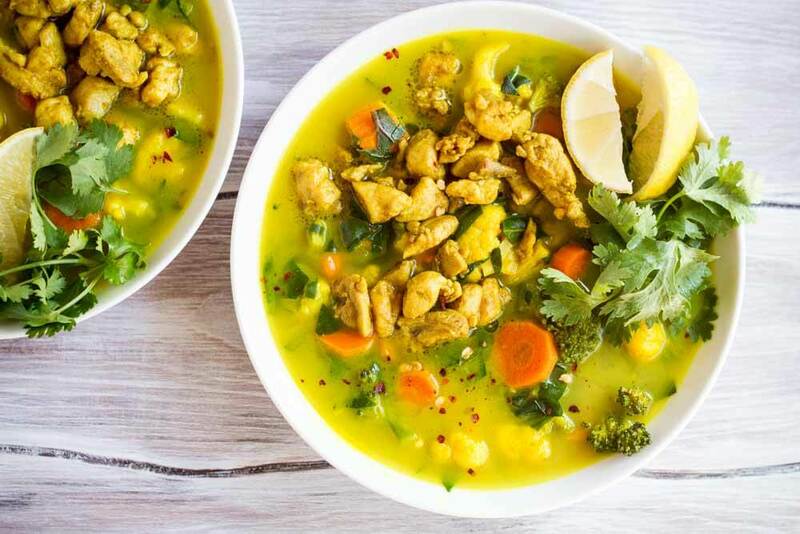 Once vegetables are done, ladle soup into your favorite bowls, top with cooked chicken and garnish with fresh cilantro, red pepper flakes, and a squeeze of lemon. ** Feel free to use any vegetables that you like for your 4 cups of veggies. *** You can easily substitute kale, collards, or spinach for the chard in this recipe. For tougher greens you may want to cook them a bit longer once added to soup. 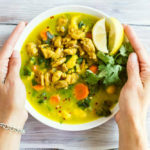 **** I like to cook the turmeric chicken separate from the soup as I like the chicken to have tons of flavor and be the star of the show. If you are feeling lazy (which happens to me often) you can simply add it all into one pot and cook it all together. Thanls for this recipe. I am on the Plant Paradox Diet and am excited to try this new recipe. Hi, Michelle! I haven’t heard about that diet. I’ll have to check it out. Enjoy the soup! Kudos on this recipe. My 11 year old twin daughters loved it as well. We added vermicelli rice noodles to it to make it sort of Asian/Thai, but otherwise made the recipe exactly as written. Yay! I love when my recipes are kid-approved!! The soup looks amazing! It it keto friendly? Do you happen to know the net carbs? Thanks so much. Made this last night – beyond delish!!! 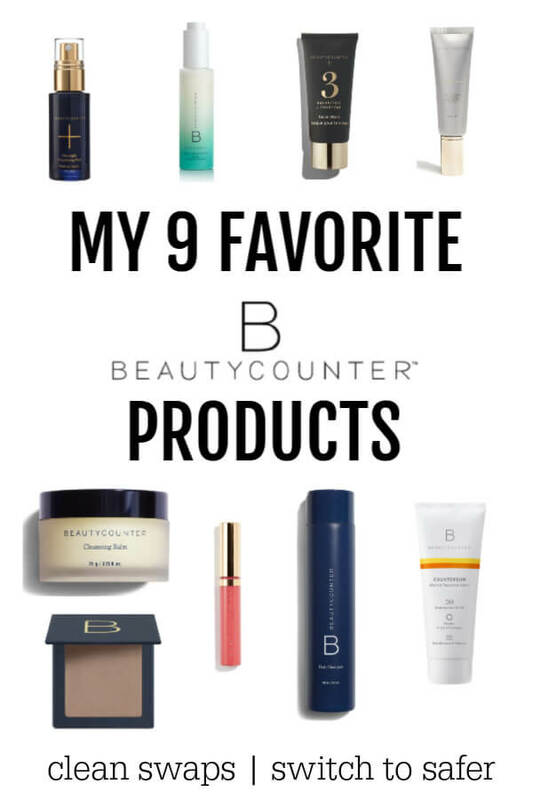 DH lovedlovedloved it too! Carrots are not keto approved. Delicious. I made basmati rice to go along with it. It really does not need the chicken as it is just as delicious without the meat. Yummy/thanks! This was a great find! I’d never tried anything with this much Turmeric. My husband & I really loved the flavor! He likes a lot of spice. Thanks for sharing this! Yay! I am so glad you liked it.